​it ain't what it used to be. ​According to the United States Department of Agriculture, wheat's role in the U.S. diet has changed over the decades. U.S. consumption of wheat products-such as breads, pastas, and pizza-dropped sharply beginning in 2000, reversing a three-decade trend of growth in per-capita consumption. Wheat consumption fell from an estimated 146.3 pounds per person in 2000 to a low of 133.4 pounds in the mid-2000's, recovered slightly, then dropped back to 132.5 pounds per person for 2011. The USDA believes that the drop from 2000 reflected public interest in lowering carbohydrate consumption. Interestingly, the rise in wheat consumption that started some 30 years ago was also triggered by health concerns. In the 1970's, America began shifting from animal products to grain-based foods, including wheat products, because of concerns about fatty meats related to cholesterol and heart disease. This coincided with the rapid expansion of the fast-food industry which also boosted per capita consumption of wheat products. The eating of sandwiches, hamburgers, breaded chicken, pizza, and bagels, spread rapidly in the 1970's and 1980's. Interestingly, it is precisely around this time that Dr William Davis tells us that the major switch took place, that being from earlier sorts of wheat to today's highly productive dwarf variety. Wheat Belly; Lose the Wheat, Lose the Weight, and Find Your Path Back to Health by Dr William Davis and: Grain Brain; The Surprising Truth about Wheat, Carbs, and Sugar--Your Brain's Silent Killers by Dr David Perlmutter. Is sourdough bread better for me? Sourdough is more digestible than standard loaves and more nutritious too. Lactic acids make the vitamins and minerals in the flour more available to the body by helping neutralise the phytates in flour that interfere with their absorption. They also slow down the rate at which glucose is released into the blood-stream, lowering the bread's glycaemic index (GI), so the spikes in insulin are much smaller than with commercial bread. The gluten in flour becomes more digestible and less likely to cause food intolerance. That being said; bread is still carb-loaded, but if you want to eat some occasionally, go for sourdough, preferable made from rye, spelt or einkorn... preferable with some pre-sprouted content. 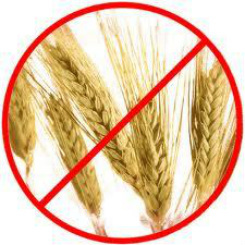 Wheat is addictive in the sense that the withdrawal process can be provoked by administering an opiate-blocking drug such as naloxone or naltrexone. But the “high” of wheat is not like the high of heroine, morphine, or Oxycontin. This opiate, while it binds to the opiate receptors of the brain, doesn’t make us high. It makes us hungry. This is the effect exerted by gliadin, the protein in wheat that was inadvertently altered by geneticists in the 1970s during efforts to increase yield. Just a few shifts in amino acids and gliadin in modern high-yield, semi-dwarf wheat became a potent appetite stimulant. More at wheatbelly blog. Are ‘older’ grains a better indicator of healthier bread? The world has produced a lot more grain since the so-called Green Revolution of the 1960's. As a result, it is argued that many people have been freed from famine, but quantity does not always equal quality. A good place to start is by examining data from the Broadbalk experiment, the longest-running agricultural experiment in the world. Analyses of crop samples from their base at Rothamsted Research Station, situated near London, show that the levels of essential micro-nutrients in wheat grain, which remained consistent from their start-up in 1844 to the late 1960's, have since then continued to decline. In the 1960’s and 70’s, traditional long-straw wheat varieties where phased out in favour of higher-yielding semi-dwarf varieties, but compared to the old long-straw varieties, modern dwarf wheat grain carries on average 20-30% less zinc, iron, copper and magnesium. For zinc, a critical human nutrient, the decline has accelerated during the most recent 5 years, providing further evidence that organic farmers need to concentrate more on the seed grain they use than just on the growing conditions. A closer look at the figures reveals the most striking change in wheat flour use that took place during the past century. At the turn of the 20th century, home baking accounted for 90% of total flour consumption, with commercial bakeries accounting for 10%. By 1945, the bakery portion rose to 60% as home baking dropped with the entry of women into the workforce. And by 1990, less than 10% of flour was consumed in the home. Estimates place the figure closer to 5% in 2014. We have simply become a take-away, ready meal society devouring more industrially produced wheat based meals and snacks than ever before. 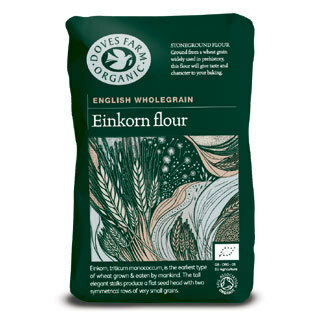 A note from Sammy, the author: "Eating low-carb as I do makes this an exception, but this is what I use when I do bake now; Einkorn flour - a variety which dates back to Egyptian times. It's delicious and nuttier in taste, but slightly less glutinous in nature so the bread consistency is a bit different from that made with today's flour." It's worth remembering that pre-fermenting by using sourdough techniques, has been shown to help many people with their digestion, but the resulting bread is still a carbohydrate-bomb. My advice: eat only occasionally! The aim of this particular study carried out by the University of Florence in Italy, was to examine the effect of a replacement diet using organic, semi-whole-grain (ancient) wheat on irritable bowel syndrome (IBS) symptoms and inflammatory/biochemical parameters. A double-blind randomised cross-over trial was performed using 20 participants (13 females and 7 males, aged 18–59 years), each classified as having IBS (Irritable Bowel Syndrome) related problems. The participants received bread, pasta, biscuits and crackers made either from ancient wheat (Khorasan, known as Kamut) or modern dwarf wheat for a period of 6 weeks in a random order. Their IBS symptoms such as bloating, stomach pain and the ominous sounding ‘problematic stool consistency’ were evaluated using two questionnaires and completed on a weekly basis. Blood analyses were also carried out at the beginning and end of each respective intervention period. The results were clear-cut. When eating the ancient wheat products, patients experienced a significant decrease in the severity of their IBS symptoms, such as abdominal pain, bloating, satisfaction with stool consistency, and tiredness. No significant difference was observed when feeding on modern wheat products. Similarly, patients reported a significant improvement in the severity of gastrointestinal symptoms after the ancient wheat intervention period, in terms of both the intensity and frequency of pain and their perceived quality of life. Their blood tests showed an inflammatory profile with a significant reduction in the circulating levels of pro-inflammatory cytokines and vascular endothelial growth factor after the use of ancient wheat products. 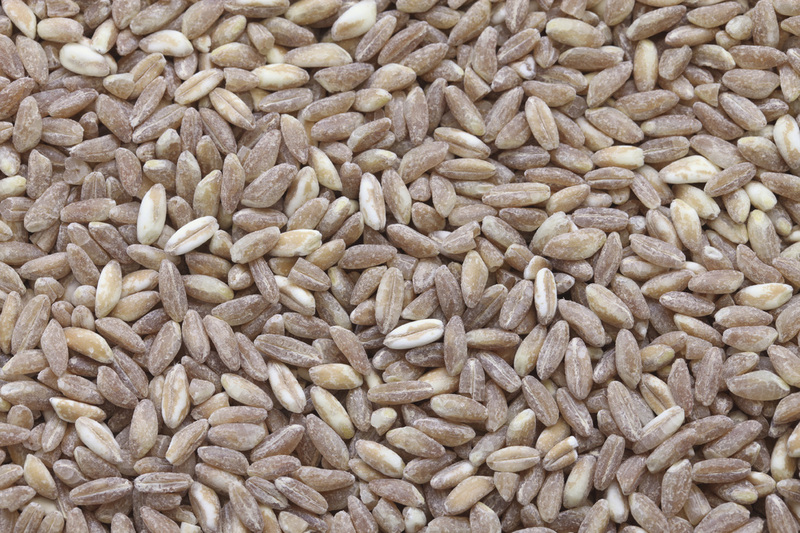 Although the sample was small, the results were overwhelmingly positive and point to significant improvements in both IBS symptoms and the inflammatory profile after the ingestion of ancient wheat products. The researchers are now embarking on a larger study.